VAT or Sales Tax may be added to your purchase totals as required by your state and local laws. If you or your organization are located in an area where purchases are subject to VAT and you have an exemption, you can simply enter your VAT ID on the order page to adjust the tax in accordance with your exemption. If you or your organization are in a location that is subject to a Sales Tax your order will include the local sales tax, even if you have a Sales Tax exemption certificate. If a U.S. customer is buying on behalf of an organization that is exempt from paying state and local sales taxes, FastSpring can refund the sales tax after the purchase has been completed. At this time, there is no way to prevent the sales tax from being collected on the order initially. Customers can email a copy of their tax exemption certificate or other supporting paperwork issued by the state government to orders@fastspring.com along with their order reference number, and FastSpring will refund the sales tax back to the original payment account. 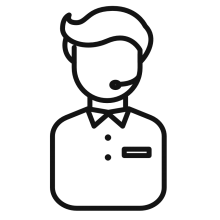 If you prefer to skip the refund process completely you can purchase Igor from a reseller that works with your organization or one of the resellers who frequently work with us.